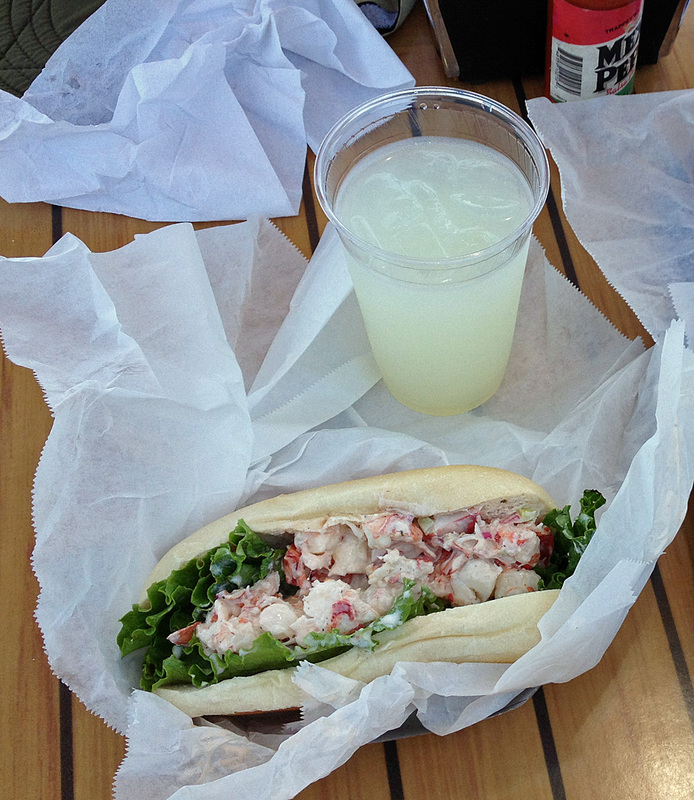 Today’s Special: Maine Lobster in a Roll with Lemonade – Pt. Loma Seafoods; hot sauce is optional. In my opinion, even a short visit to San Diego must include lunch at Point Loma Seafoods. On this day we were tempted by the daily special which was their version of the Maine Lobster Roll. The lobster was good, but needed a little hot sauce to liven it up. The roll lacked the character of the traditional lobster roll bun. This was a good lunch, but next time I’ll stick to the regular menu (I like the fish sandwich on sourdough). San Diego as seen from the deck of Pt. Loma Seafoods. 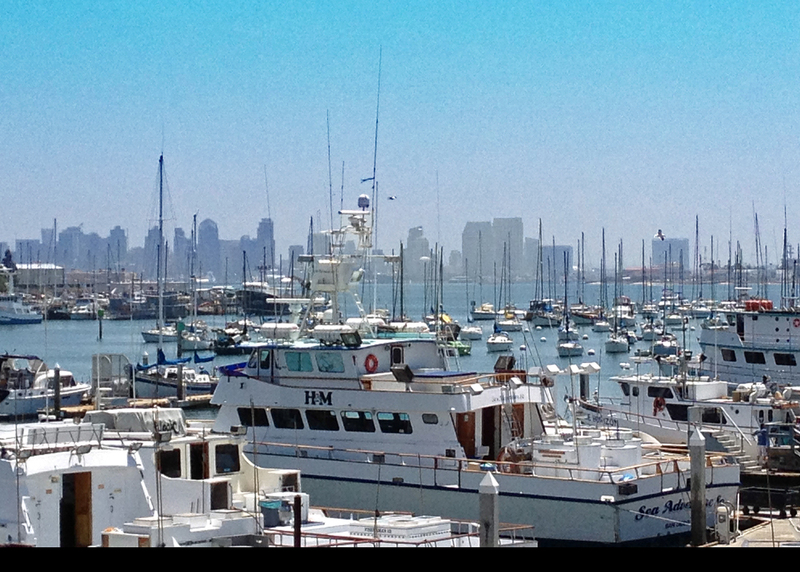 The view of San Diego from the new deck has everything you need to enjoy lunch: fishing boats, water, city skyline and Sun. This entry was posted in Places, San Diego and tagged iPhone, Lobster Roll, maine lobster, Photography, Point Loma Seafoods, Postaweek by carto. Bookmark the permalink.